Today’s NYTimes greets the new year with a dismaying (though hardly surprising) story about the ways in which the NCAA extends its corrupting reach into college classrooms. 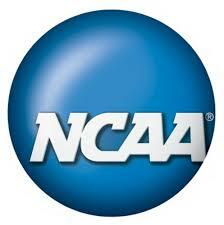 It’s an extreme version of a common practice — providing fluff courses for intercollegiate athletes so that they can maintain their student status even while they are spending all their time in training for their schools’ teams (which are nothing more than farm teams for professional leagues). This story is particularly dismaying because it involves charges of academic abuse that are so egregious that they caught the attention of a criminal prosecutor. 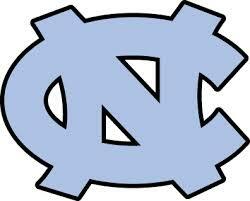 Not only that, but the case involves UNC-Chapel Hill, where I went to graduate school in history, which is actually a fine, serious, and improving university. Yes, it is also an NCAA powerhouse in football, basketball, lacrosse, and other sports that fill stadia and attract national TV distribution. 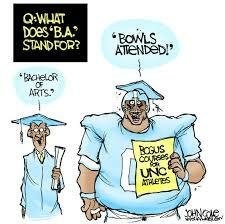 Again, I ask: What educational purpose does the NCAA serve? 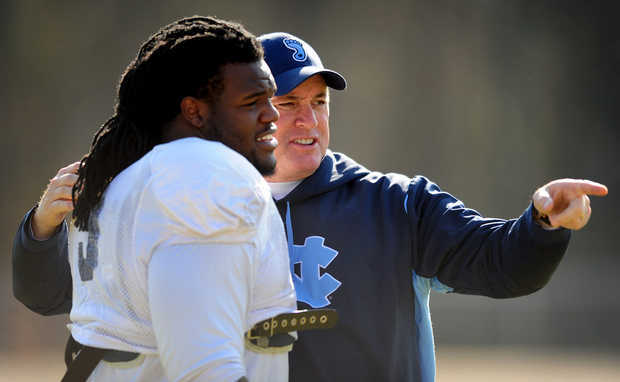 In my experience, the practice of intercollegiate athletics not only contributes nothing to students who participate, it also detracts from educating young people. The only educational purpose I can imagine is to serve as an object lesson in what not to do in economics, law, and ethics. 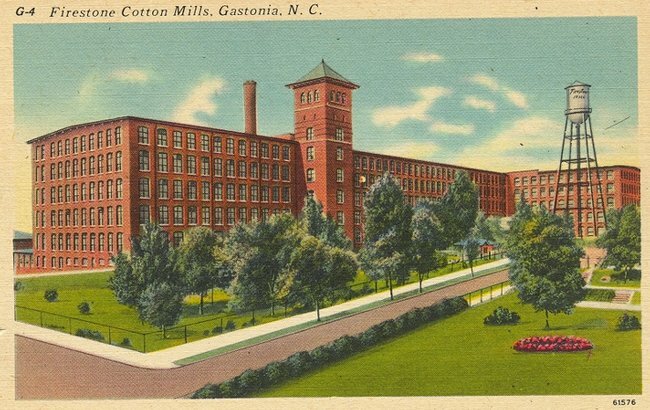 The Loray Mill in its heyday, when it made fabric for the Firestone tire company. The huge brick textile factory complex in Gastonia, North Carolina, once considered the largest in the world, is about to find a new life as an apartment complex, complete with amenities like restaurants and shops. From the description in today’s New York Times, it looks like the old factory has come a long way from the original life of the Loray Mill, built in stages starting in 1902. 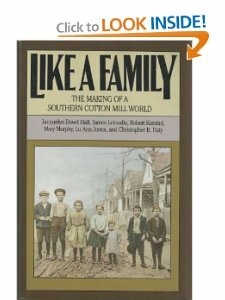 That earlier story is the one told in the book that I co-authored with five fellow historians, Like a Family: The Making of a Southern Cotton Mill World. Published in 1987 and reissued in 2000, Like a Family puts the Loray Mill (see chap. 4), located near Charlotte, into the broader context of Southern industrialization, told largely from the workers’ point of view, based on their own testimony in hundreds of oral history interviews. That work was made possible through the Southern Oral History Program at UNC-Chapel Hill, which continues to do fine work in oral history. The SOHP interviews are mostly on deposit at UNC’s Wilson Library, where they are open to scholars. You can even search for a term like “Gastonia” in the search tool.